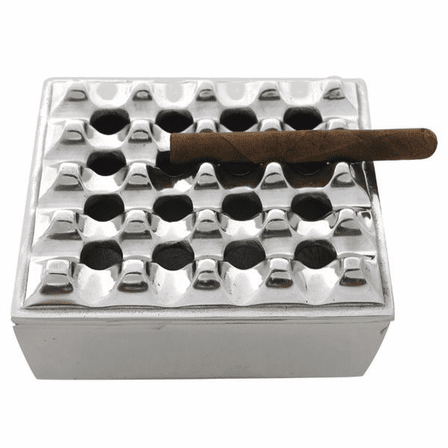 FEATURES/SPECS Made of rich pewter, this handcrafted cigar ashtray features a square grid design. 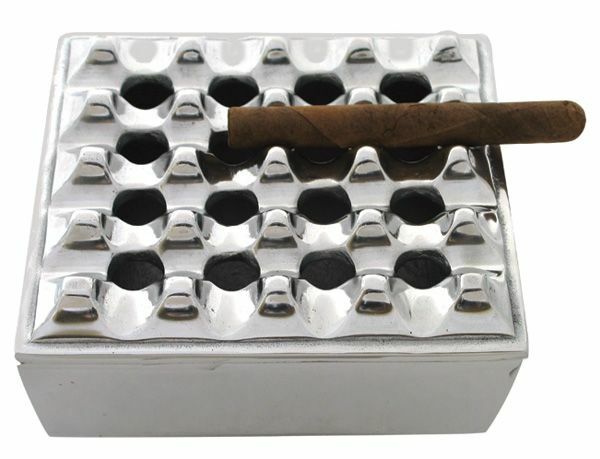 This unique design holds cigars safely and securely from any side. 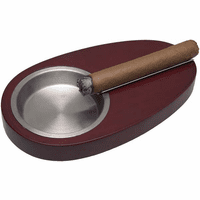 At seven inches by seven inches, it is large enough to accommodate a room full of your cigar smoking friends. 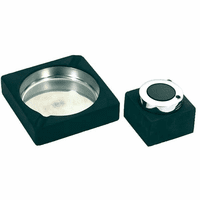 This ashtray has a felt lined bottom to protect the delicate surfaces in your smoke room. 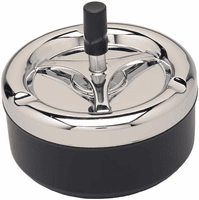 My husband loved this he wanted a certain kind but I couldn't find it. So I started looking and got this one. He said he likes it even more than the other. Loves the lay out loves all the options. Highly recommended buying this.